According to information released by Apple at the WWDC in June 2018, there are more than 550,000 podcasts out there for people to listen to and it continues to grow. The growth of podcasts has given anybody a medium to tell their stories, build a community and connect with other people with similar interests in ways that traditional radio never could. If you have an interest in starting a podcast or even a YouTube channel, you are obviously going to need some equipment to get started. The first major piece of hardware is going to be a microphone, without one of these, your podcast is going nowhere fast. To help get you started, we wanted to look at some of the podcast microphones available today and highlight the ones that we thought offered the best value and the best quality for the price. First, though, we’re going to start with what you should consider first before buying anything. If you’re ready, hit that record button and let’s get started. The directional capability of a microphone explains how the microphone can pick up sounds from any direction. In other words, it means that they can pick up any unwanted sounds that you might not want to show up on your podcast. Now while there are some that can pick up sounds from any direction, there are others that will only pick up sounds from certain directions. Let’s look at the differences. Omni-directional -The Omni part of omnidirectional refers to the fact that these types of microphones can pick up sound from virtually any direction and can easily pick up unwanted noises. These types of microphones are best for reporting or broadcasting and not for a podcast. Bi-directional– Bi-directional podcast mics are those that can pick up sounds from different sides. These types of microphones can be very popular with podcasts, especially those doing interviews but not especially popular with those doing amateur music recording. These types of microphones can cost hundreds of dollars but remain one of the most expensive microphones out there today. Cardioids – Cardioid microphones are heart-shaped and only pick up sounds from the front direction and can also capture some sounds from the sides. These types of podcast microphones continue to be one of the most popular types for recording music. This type of podcast microphone is a Condenser-USB type of podcast mic. Shotgun – A unique microphone because these types of mics feature a cardioid polar pattern that is highly directional and can yield great attenuation at the sides of the mic while maximizing the sounds that are captured at the front. Many videographers will use these types of microphones and mount them on to a DSLR. A shotgun mic comes with the best ratio for signal-to-noise as well as producing the most accurate sound that is captured by the front of the mic. Referring to the receptiveness ability of the microphone, especially when it comes to a sound signal or AC current. This is measured in Ohms and a podcast microphone with an impedance rating of 600 Ohms or lower is what you want to look for. These will have better audio retaining capabilities. You want to make sure you pay attention to this rating because a higher rating could indicate that the other components in the microphone may be of lesser quality. Many manufacturers of podcast mics will clearly label on the packaging the frequency response of their products. The frequency response Is the range of frequencies at which the mic can detect and pick up audio sounds. Knowing what frequency response pales in comparison to knowing the specific frequencies at which your mic will capture sounds. Because of this, when you buy a microphone, consider what you are recording. You should choose a mic with a mid or high-frequency response if you are recording vocals and guitars but choose a low-frequency option if you are recording for bass. With just about any product that you purchase regardless if it’s for your business or your home, you want the product to be durable and last for a good amount of time. Condenser-USB mics tend to be complexly designed and any shocks or drops might damage the mic. If you’re prone to dropping or abusing mics, you may want to choose a Dynamic podcast microphone as they tend to be more durable. With podcast microphones, dynamic mics provide great value and have sturdy construction and can last for several years. The only downside is that once they have been damaged, it can be hard to get replacement parts. Conversely, USB-Condenser microphones can be fragile and get damaged easily, but some shops may carry parts for them, keeping you from having to replace it. When you go shopping for a podcast mic, there can be a couple of options for you to choose from and unless you know what each is and how to use them, it can get confusing. We wanted to highlight theses quickly to give you the information you need. USB – A USB microphone works no differently than any other USB-enabled device that you plug into your computer or laptop. Once you take it out of the box and plug it in, with a recording software such as Audition or Audacity, you can get started right away. XLR – These types of microphones use an XLR cable to plug into an audio interface, which is a hub that allows you to plug XLR cables into it and then the interface hooks up to your computer via USB. For someone who might just be starting out, you may want to keep things more simple with a USB mic. However, those looking for superior sound quality may want to invest in this type. The best podcast microphone is a combination of value, performance, and ease of use. For our list of the Best Podcast Mics for Starting a Podcast in 2019, we wanted to shine a spotlight on those that had a combination of all three that you can use to start your podcast right away. 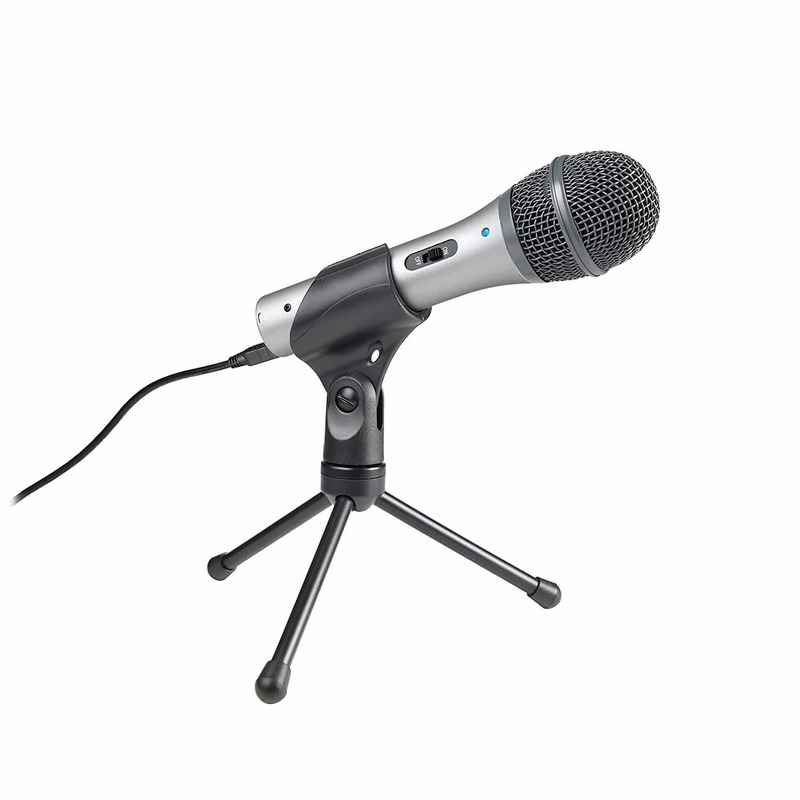 There is a microphone for any budget, ranging from $270 to under $50! 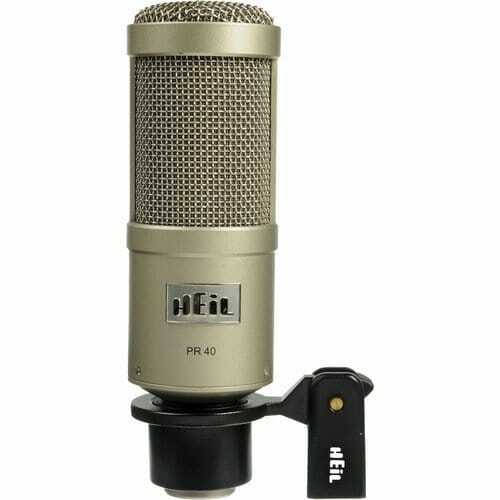 If you were to ask many of the more popular podcasters out there, many of them would tout the PR-40 by Heil as their go-to podcast recording microphone. Many of these people hype up the sound quality that this mic can deliver, and while the quality is good, it seems that popularity has overhyped this mic. A dynamic microphone, it is a great fit if you are recording in a non-professional environment and is certainly worth a try but if you’re just starting out, can be expensive. If you can afford it, give it a go and decide if it’s right for you. 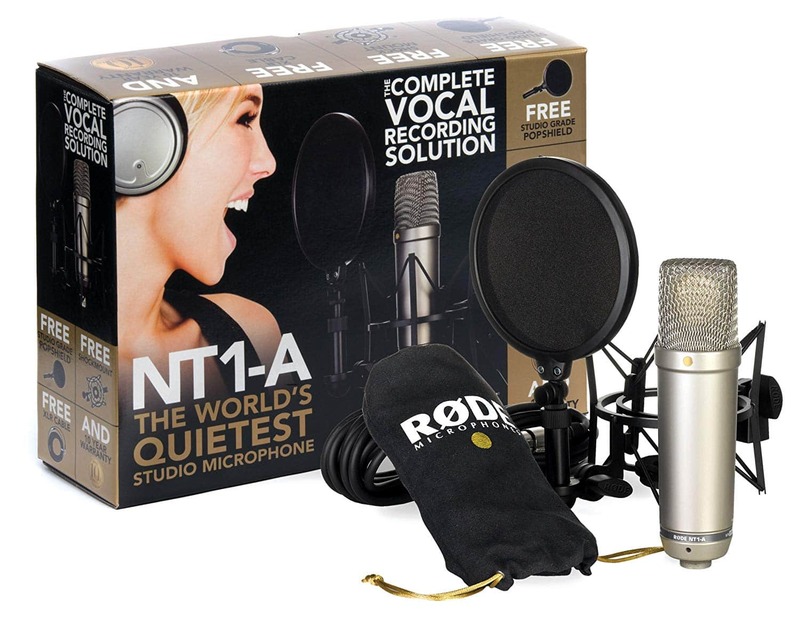 An XLR microphone, the NT1-A from Rode has super-low noise and rich sound. Featuring a large 1” capsule with a gold-plated diaphragm, wide dynamic range, and cardioid polar pattern, the quality shines through. 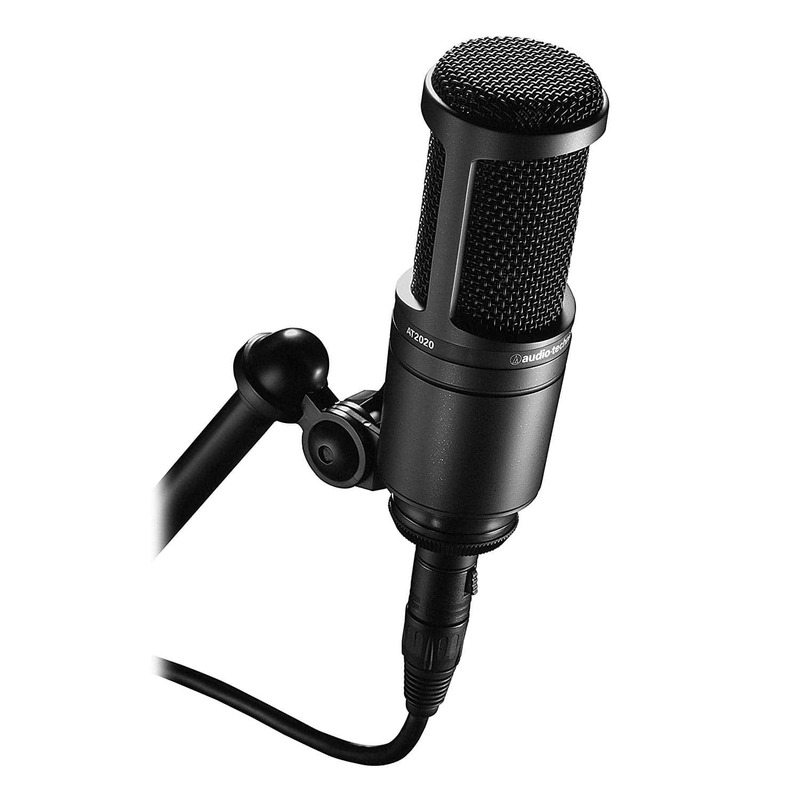 When compared to some of the other professional level podcast mics out there, the reasonably-priced NT1-A is a good choice for those who may have been running a podcast as an amateur but are now looking to go pro. With this mic and a mixer/interface to plug it into, you could be sounding like a pro in no time. 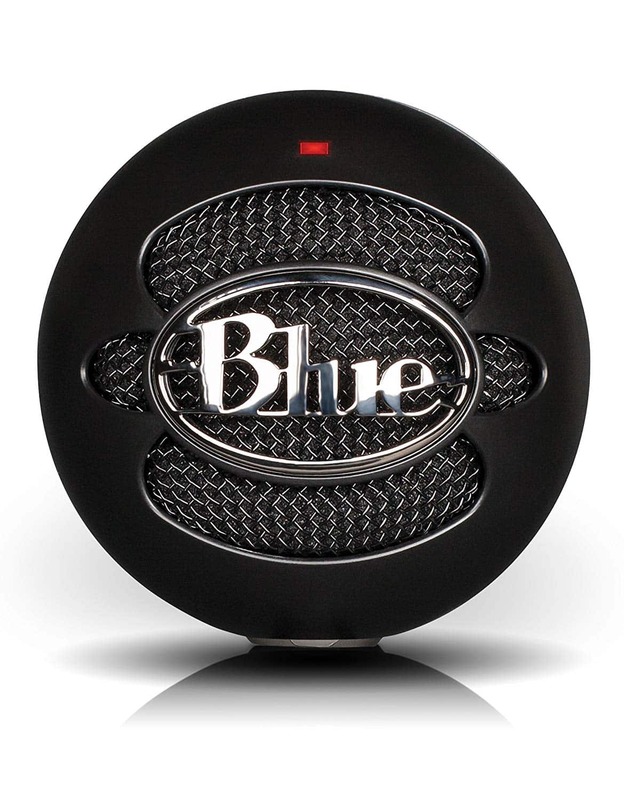 With its robust, all-metal construction, the PROcaster microphone by Rode has the features that any podcaster could want including broadcast sound quality, a high output dynamic capsule, an internal shock mounting of the capsule for low handling noise and an internal pop-filter in order to reduce plosives. Designed and built for podcasting, the quality that the PROcaster offers can come at a price, but it is one of the best microphones available. 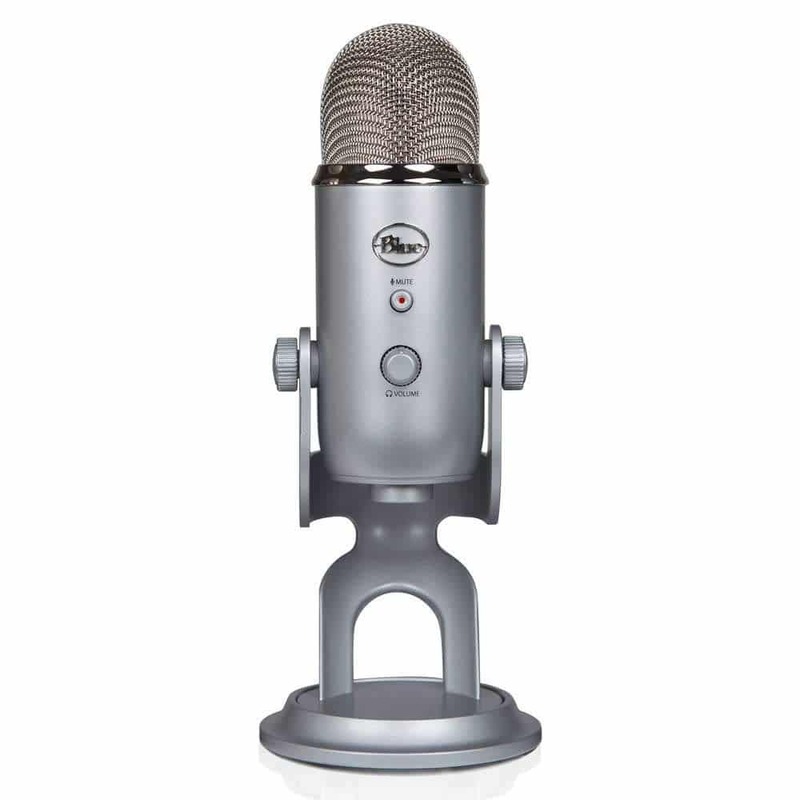 The Yeti Microphone is one of the most popular podcasting microphones available today. Whether you’ve been podcasting for a year or a week, the Yeti is one of the easiest out-of-the-box and press record options out there. Features that allow you to record in a variety of situations thanks to the three different condenser capsules in one, and the option to either use the microphone while plugged into your computer via USB or you can upgrade and use the XLR output for better sound quality. These features along with a reasonable price will make this a popular option for a long time to come. In podcasting, plosive sounds such as when you say words with p, pf and others can cause an issue with the audio, which why many podcasters will use a pop filter to reduce their effect. 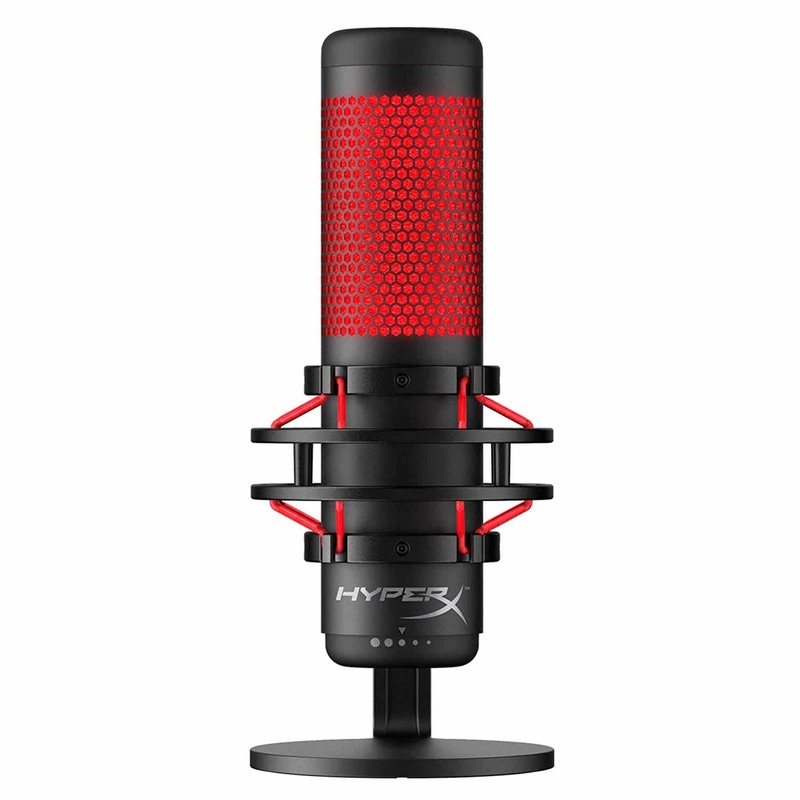 With the HyperX Quadcast Microphone by HyperX, there is no need for a pop filter as the mic has a form-like material behind the grill reduce the effects those plosive sounds cause. With a grill that lights up, you’ll always know when the mic is on and a touchpad at the top of the mic will mute it, which can be handy especially if you live with other people or want to say something “off-air”. Depending on the type of podcast you’re doing, you may not always be able to sit in your home studio and record an episode or invite a guest over. You might have to interview them when at their office or in public. 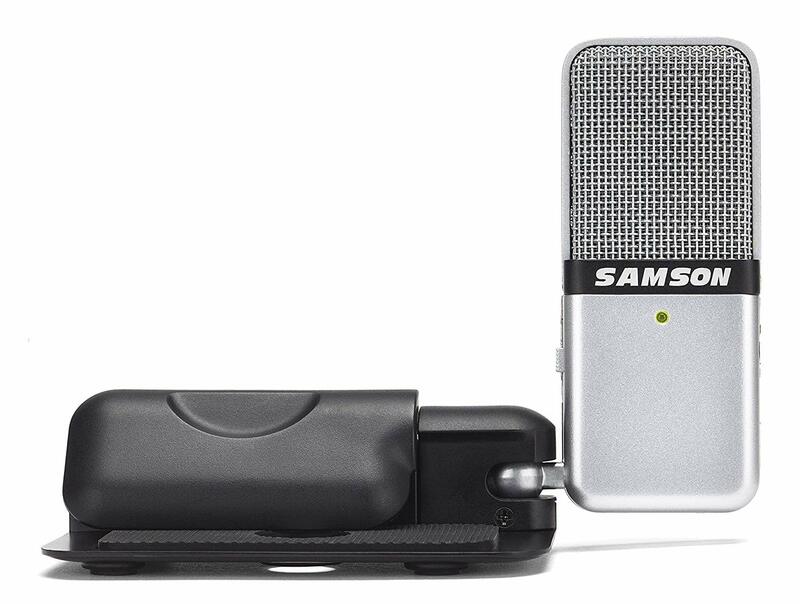 In these cases, microphones like the Go Portable Microphone by Samson are perfect to add to your bag on your way out the door. With a cardioid polar pattern for the up close recording of interviews and an omnidirectional polar pattern for recording in a large area such as a keynote speaker. The compact, handheld little device is relatively inexpensive that should be in every podcaster’s arsenal. 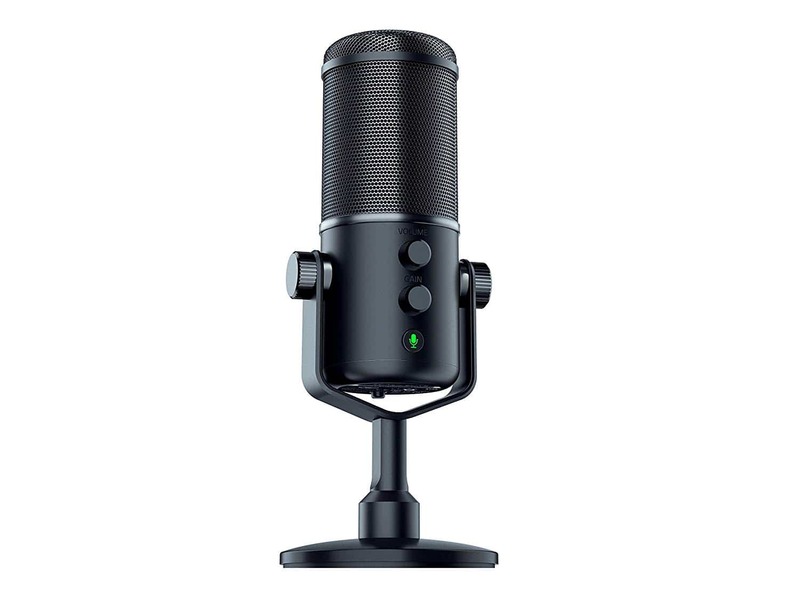 Razer, a company that is better known as a manufacturer of PC mice and keyboards for gamers, takes a step further into their product offerings with the Seiren Elite, a quality microphone for podcasters. 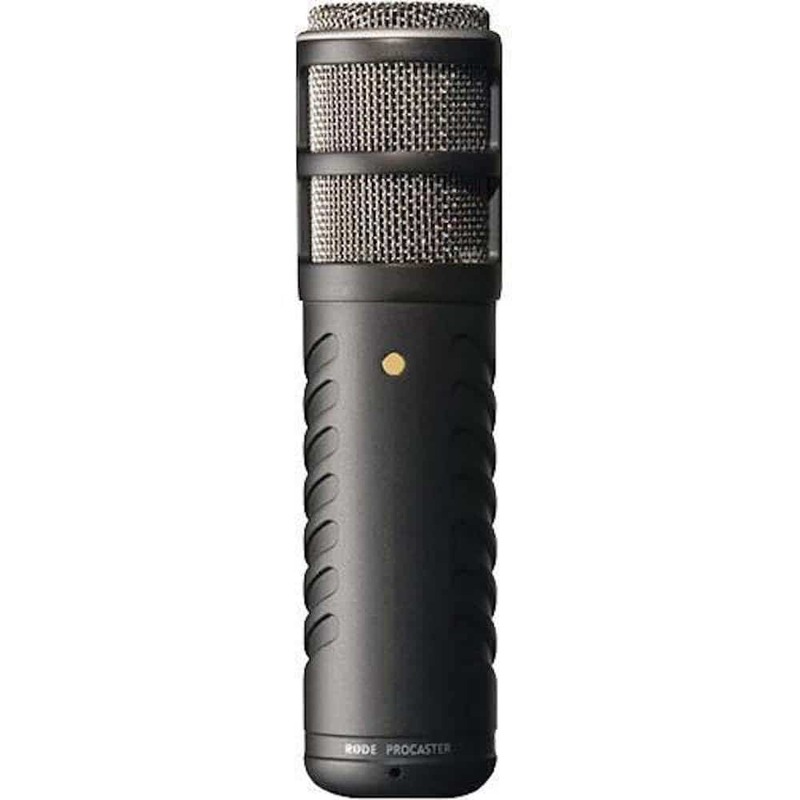 With a cardioid pattern, this dynamic mic has a frequency range of 50 to 20kHz and a high pass filter to make the sound quality much better than their previous entry. With an onboard gain and volume control, as well as a mute button, the Seiren Elite is a streaming mic that podcasters should start taking notice of. The heart-shaped (cardioid) polar range helps this handheld microphone eliminate any unwanted noises in the background from behind you and from the sides that may ruin your recording. The ATR2100 is an affordable podcasting microphone for those just getting started and comes with a built-in headphone jack so you can listen back to the output from the mic without any delays. While the polar range will give you the clarity you may be searching for, because it’s a dynamic mic, the warmth will not be there. For many podcasters, having a mic not only lets them record a podcast episode but also allows them to conduct interviews through real-time chatting services like Skype and Google Hangouts with crystal clear audio. The Snowball iCE Condenser Microphone by Blue Microphones has a custom condenser that helps that audio sound as good as possible. A USB mic, you can easily plug it in and start recording. The best part is that this quality podcast microphone won’t break your budget, making it a great first or even back up option. Favored by many podcasters out there, the AT2020 by Audio Technica is a perfect podcasting microphone if you are recording from your home studio as it has high SPL handling and unmatched versatility with its wide dynamic range. It isolates background noise from the desired source with its cardioid polar pattern, reducing noise from the sides and the rear of the mic. A custom engineered low-mass diaphragm also helps to provide an extended frequency response as well as superior transient response making it no wonder why it is favored so much. When you decide to start a podcast, it can be a bit daunting when you first look around at the equipment that is available. Luckily, we wanted to help you out and provide you with a list of our choices of podcast mics you should consider. There are a lot of options out there that we didn’t cover. Do you have a podcast? What mic do you use with your podcast? Let us know in the comments below! March 19, 2019 at 9:50 AM Should the Blues Bring Back Bouwmeester?